After a disappointing first race at Hockenheim where the best placed Mercedes came eleventh, things went much better during the rain hit race at Oschersleben. Christian Vietoris scored the first win of the season for Mercedes which now places him in the second place of the drivers's championship. 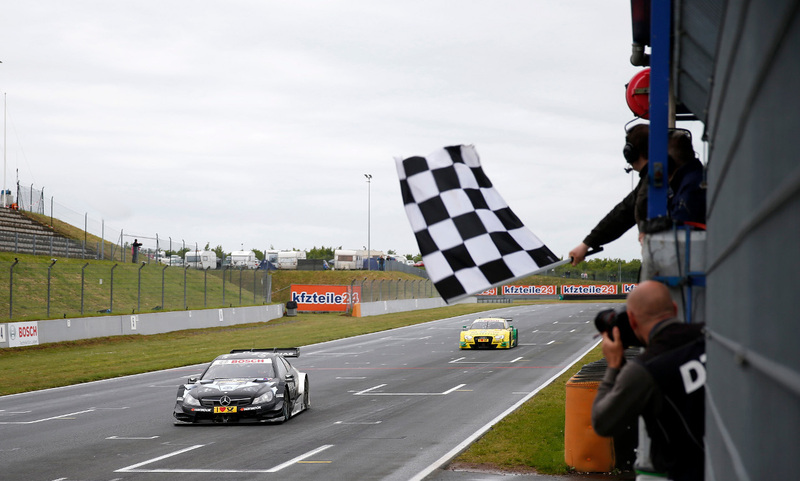 The best placed BMW M4 DTM of Augusto Farfus crossed the chequered flag in 5th position. Marco Wittmann, winner of the first round at Hockenheim and pole sitter at Oscherleben, ended up finishing 19th. His race was ruined after he committed a mistake when trying to overtake Gary Puffet after the safety car and was obliged to make an extra pit stop. Thanks to its more consistent points finish, Audi, the only manufacturer yet to win a race this season, took the lead of the constructors championship thanks to a solid second place by Mike Rockenfeller who also took the lead of the drivers championship. Next up, the DTM circus will visit Budapest in less than two weeks. Stay tuned!